You will never see this following you. Think of the last time you heard sirens and pulled over (You did pull over?) for an ambulance to pass you. Looked like any other ambulance, right? Truck based, big and boxy. 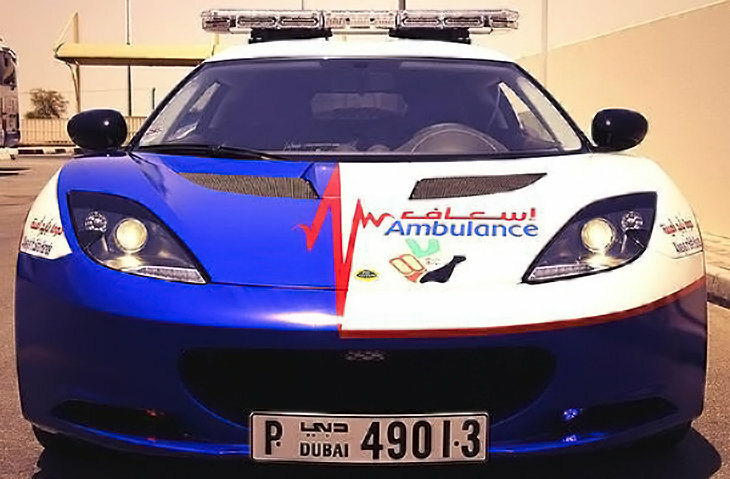 But if you traveled to Dubai, you would see this Lotus Evora with lights and sirens on. Heck, I’d try to follow it but would need a really fast car.